How did people around the newly re-United States respond to the death of the controversial President Lincoln? Use this interactive map to see examples from around the country. This map shows highlighted responses; the collection features many more. How was the assassination perceived in your own area of the country? How did responses differ from place to place? The answers may surprise you. 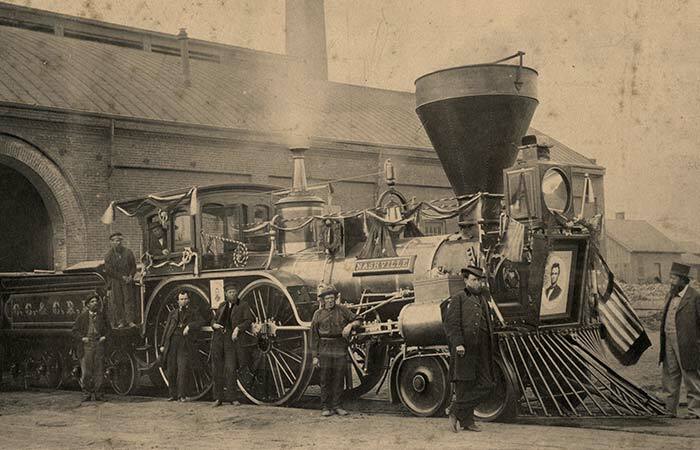 Lincoln’s funeral train journeyed across the northern United States, from Washington to Springfield, Illinois. 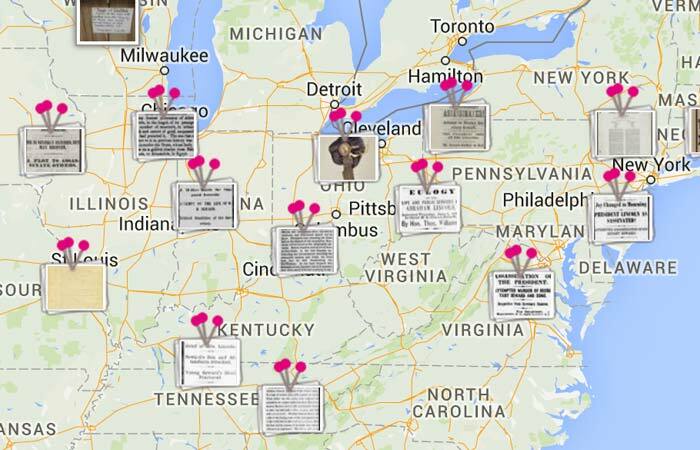 Follow the route and learn how Americans turned out to mourn their slain president. Many Remembering Lincoln objects are pinned on HistoryPin, where you can see not just Remembering Lincoln items but all kinds of historic photos! (Coming soon!) 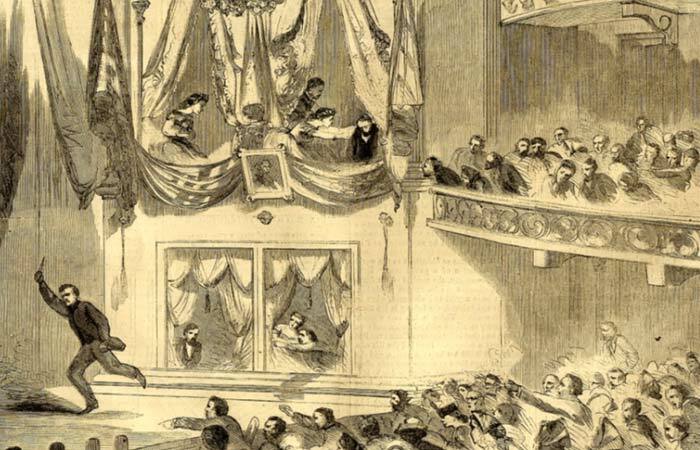 Follow the 12-day manhunt for John Wilkes Booth, from his initial escape to his death at the hands of Sergeant Boston Corbett.